One of the assets attributed to Scoville’s use of Traffic Monsoon investor funds is a £290,000 flat and parking space in Manchester, UK. The use of investor funds to purchase the property in 2015 means the asset belongs to the Traffic Monsoon Receivership estate. The Receiver has keys to the property but was unable to file a notice of Receivership against the flat because, according to the Land Registry, ‘the Receivership Order is not directly enforceable in the United Kingdom‘. Not particularly concerned because she had access to the property and Charles Scoville was legally forbidden from selling the flat off, the Receiver settled for monitoring the flat from the UK office of her law firm. Due it being owned by the Receivership Estate, fees and taxes to maintain the property have been covered by the Receiver since mid 2016. Despite all of this however, Charles Scoville went ahead and sold the flat anyway on November 28th, 2017. The Receiver claimed to have only become aware of the sale on or around March 2018. An obtained Transfer Report revealed Scoville sold both the flat and parking space to someone named John Jarvis Hitchen for £280,000. Upon learning of the sale, naturally the Receiver reached out to Scoville for an explanation. On March 12, 2018, the Receiver, through her counsel, demanded that Scoville immediately provide an accounting of the sale and the Proceeds, and to turnover the Proceeds. Having received no response to her counsel’s March 12th email, on March 14, 2018, the Receiver called Scoville’s counsel and orally informed him that Scoville had sold the Property. After this call, the Receiver sent counsel another demand email. As of March 16th, neither Scoville or his attorney had explained why Scoville had sold off Receivership assets. The Receiver filed two motions on March 16th; one asking for proceeds of the sale to be turned over and the other demanding an explanation from Scoville, lest he be held in contempt. On March 19th the court passed on order giving Scoville until March 30th to file a response. Seeking to trace where Scoville stashed the proceeds of the sale, the Receiver subpoenaed Scoville, BBVA Compass Bancshares, Inc., First National Bank, JP Morgan Chase Bank and Wells Fargo Bank on March 20th. On March 30th Scoville filed his response to the show cause motion. Despite Scoville being the only person able to transfer the property to another party in the UK, he refuted he had anything to do with the sale. Because the Receiver has presented no evidence that Mr. Scoville had anything to do with the sale of the property, and because objective evidence shows that he did not sign the document transferring the property and was not even present in the United Kingdom when and where the sale took place, Mr. Scoville should not be held in contempt of this Court’s order. Scoville failed to provide an explanation as to how a property in the UK held in his name was able to be sold to a third-party if he had nothing to do with it. The only question the Court must decide is whether the Receiver has shown by clear and convincing evidence that Mr. Scoville disobeyed the Court’s order by transferring the specific property referenced in the Receiver’s Motion and Declaration to a third party. That Scoville sold the property seems obvious, but his defense appears to rest on the Receiver not having concrete evidence of Scoville’s direct involvement in the sale. To complete the sale, Scoville was required to sign a Transfer Record no less than four times. 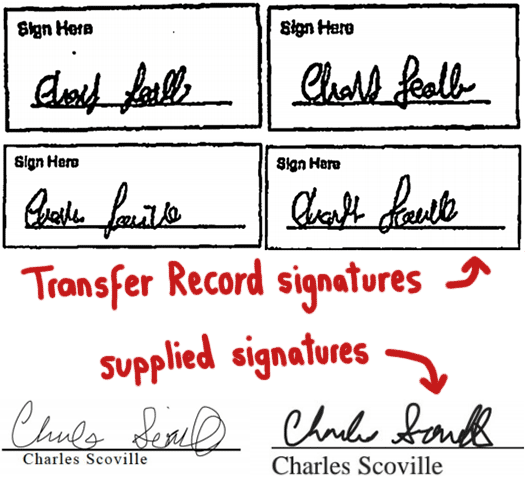 Scoville argues he never did and that presumably the signatures on the Transfer Record are not his. while the transfer might constitute a fraud against the Receivership estate by someone, the Receiver has not met its burden to show that Mr. Scoville was in any way involved. If you ask me, all the provided signatures do is demonstrate Scoville isn’t consistent in signing his name. None of the four provided signatures are identical. And additional signatures from artwork and documents submitted by Scoville’s family are completely different again. Another point of contention is Scoville’s whereabouts at the time of sale. Scoville’s Transfer Record signature had to be witness and was, by a person living in London. Scoville’s attorneys argue phone records between Scoville and his mother place him in Utah on or around November 28th. His family also cited frequent begging for money before during and after the sale period as evidence Scoville wasn’t the recipient of sale proceeds. A hearing to decide the matter was scheduled for April 11th. On April 2nd, Scoville’s attorney filed a motion seeking to excuse Scoville from the upcoming hearing. Turns out Scoville has been suffering from “significant mental health problems” since late 2017. These include “periods of detachment from reality”, leading to multiple visits to mental health facilities and repeated hospitalization. Two incidents reportedly saw Scoville ‘taken to mental health facilities by law enforcement because of aberrant, paranoid, and manic behavior‘. As a result of Scoville’s current mental condition, his attorney claims to have not had “any meaningful contact” with him in months. This includes briefing and preparation for the upcoming hearing. Counsel has endeavored to represent Mr. Scoville’s interests and has received general directions from Mr. Scoville at times in the past few months, but to be clear, the response to the Receiver’s Order to Show Cause filed roughly contemporaneously with this Motion was prepared without the opportunity to speak with Mr. Scoville about the underlying matters. Scoville remained hospitalized as of the April 2nd filing. His attorney argued attendance at the hearing ‘would likely cause significant setbacks in what is already a troubled mental health history‘. Permission not to comply with the Receiver’s subpoena was also requested. In the weeks leading up to hospitalization, Scoville was uploading daily Facebook videos. In the videos he appeared increasingly disheveled, often wearing the same clothes spanning multiple daily videos. The videos stopped abruptly on February 28th. Scoville began posting on Facebook again on May 23rd. On April 4th the court granted Scoville permission not to attend the upcoming hearing or comply with the Receiver’s subpoena. On April 6th the Receiver filed a reply to Scoville’s show cause response. Despite creative arguments to the contrary, the Receiver has shown by clear and convincing evidence that Scoville knowingly violated the Court’s (orders). At the April 11th hearing, the court didn’t hold Scoville in contempt, but did uphold the Receiver’s motion for accounting regarding the flat sale and turnover of sale proceeds. Scoville’s attorneys were also ordered to submit a Status Report every 30 days. The day after the hearing one of Scoville’s lawyers withdrew from his legal team. An additional subpoena notice against Compass Bank was filed by the Receiver on April 17th. Scoville’s first Status Report was filed under seal on May 8th. Scoville met with the Receiver, the Receiver’s attorney and counsel for the SEC at the offices of Mr. Scoville’s counsel. During that meeting the Receiver and the SEC asked many questions of Mr. Scoville. 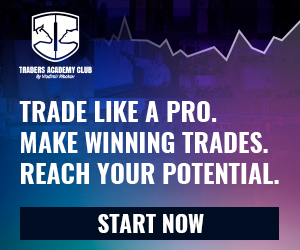 Mr. Scoville answered every question and did not refuse to answer any question of either the Receiver or the SEC. Those answers were that he was not involved. Since that meeting no request for assistance has been made. Citing a commitment to cooperate with the SEC and Receiver regarding the sale of the flat going forward, on June 4th Scoville’s attorney requested relief from having to file future Status Reports. A decision on the motion is pending, with their being subsequent filings on the case docket. At the time of publication, the status and/or whereabouts of the £280,000 paid for Scoville’s Manchester flat is unclear. Also unclear is whether Scoville signed the Transfer Record. And if not, then who signed the transfer, allegedly forging Scoville’s signature in the process, and on what authority. Scoville continues to publish daily religious rants on Facebook. On June 11th Scoville claimed God cured him of a lifelong peanut allergy.